Additional intake to the base product DURAMENTAL® GLUTATHION 300mg PLUS avoids cumulation of the vitamins and trace elements therein contained. Enteric coated, without gluten and lactose. 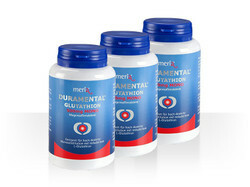 This new development is the ideal complement to our base product DURAMENTAL® GLUTATHION 300mg PLUS which in its unique combination of active ingredients contains vitamins and trace elements for the improvement of bioavailability. 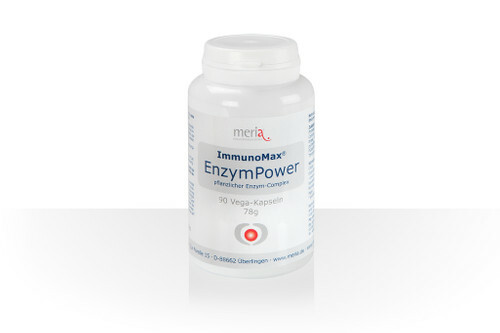 In case of a therapeutically necessary high dosage, the additional intake of this monoproduct helps avoid the cumulation of the vitamins and trace elements contained in the basic product. The enteric coating of the DURAMENTAL® GLUTATHION tablets is another important element in the support of bioavailability with oral intake: the L-glutathione contained is only released in the duodenum and not already partially broken down by gastric acid. All oral meria® products have a Marketability Certificate issued by a publicly appointed and sworn food expert. 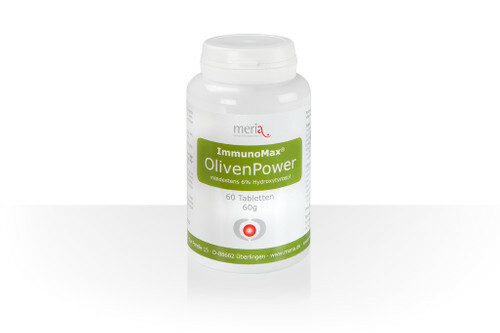 2 capsules/day (1000mg glutathione) additionally to the base product. In case of a suboptimal glutathione status 4 capsules / day (2000mg Glutathion) to be used in addition to the base product until normalization. To be taken with plenty of water before meals. The recommended dosage should not be exceeded without instruction by a therapist.